Start your day out in Dublin with your choice of breakfast in Dublin City Centre at either Lolly and Cooks or Java Republic. Located on Lower Baggot Street, Lolly and Cooks features great coffee plus savory scones and rolls. Of course, Lolly and Cooks is most well-known for their cupcakes. Try a toffee cupcake with caramel square on top. Eat your cupcake looking out upon Dublin's commuters headed to work. Java Republic is another great option for coffee or tea in a historic building on Molesworth Place, an elegant Georgian street. 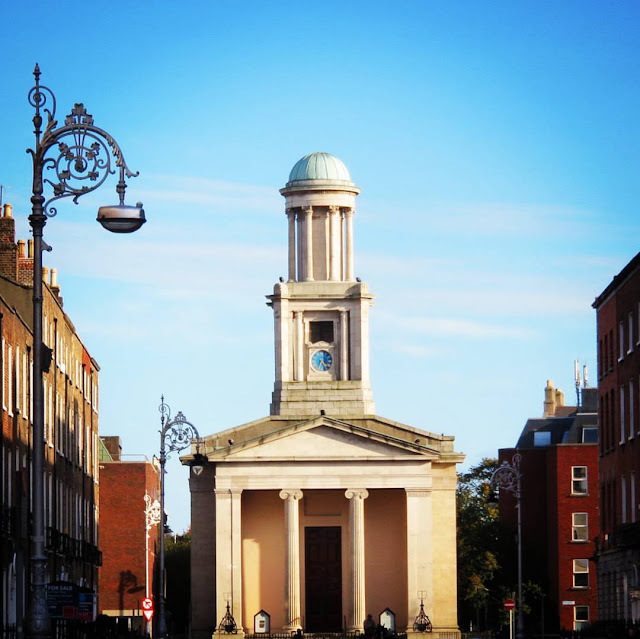 After breakfast seek out and photograph the iconic Pepper Canister church in the heart of Georgian Dublin as it catches the morning light. 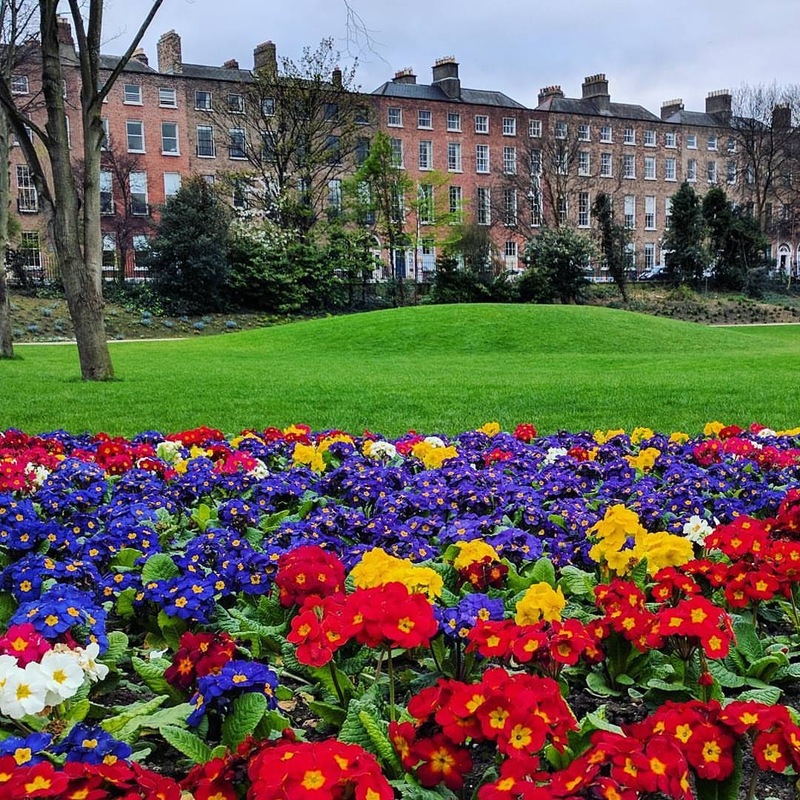 Escape from the hustle of Dublin city life with a walk through Merrion Square Park. 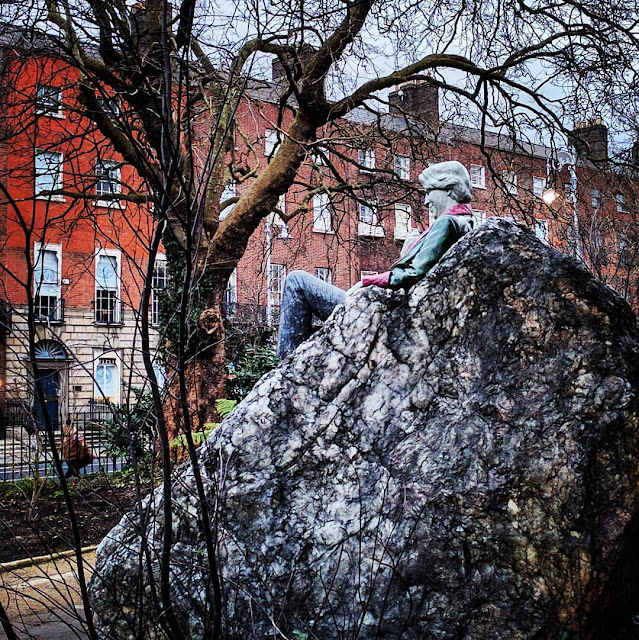 Seek out the statue of one of Ireland's most famous and colorful writers: Oscar Wilde. It's rumored that Oscar Wilde was once asked if he had anything to declare on going through customs in the U.S. He supposedly said "I have nothing to declare...except my genius". He may not have been modest, but based on his collective body of work, he's quite justified in his comment. The jaunty statue is comprised of three different colored blocks of stone from three different continents. Stop at nearby Sprout for a healthy lunch. Grab a salad or a wrap to fuel your afternoon of exploration. After lunch, admire the historic architecture of Northumberland Road. 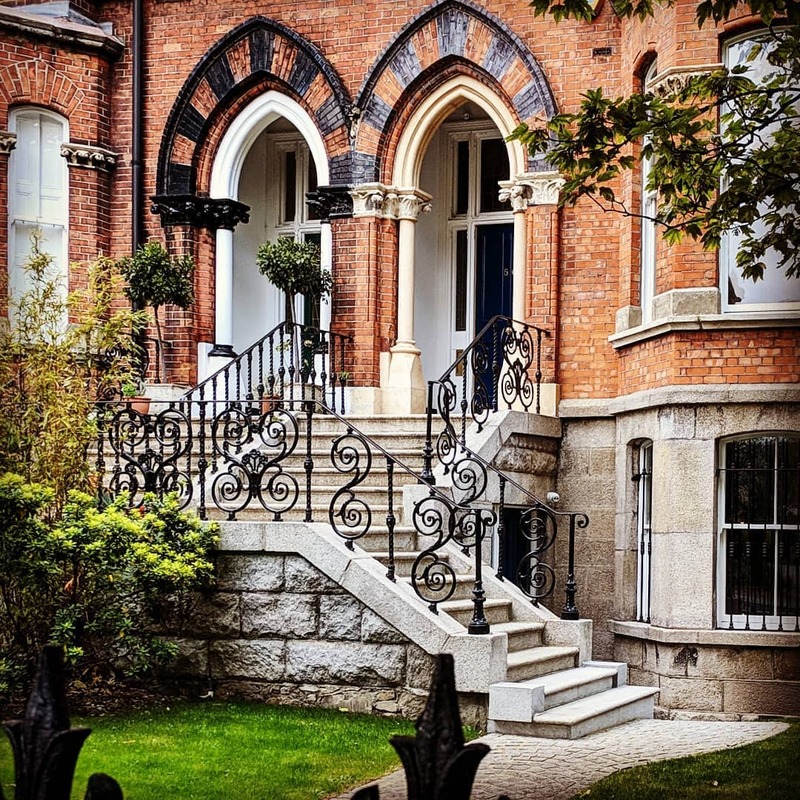 The impressive houses along Northumberland Road in Dublin's Ballsbridge neighborhood were constructed over six decades in the 19th century. The Irish Georgian Society offers sporadic tours of the area. 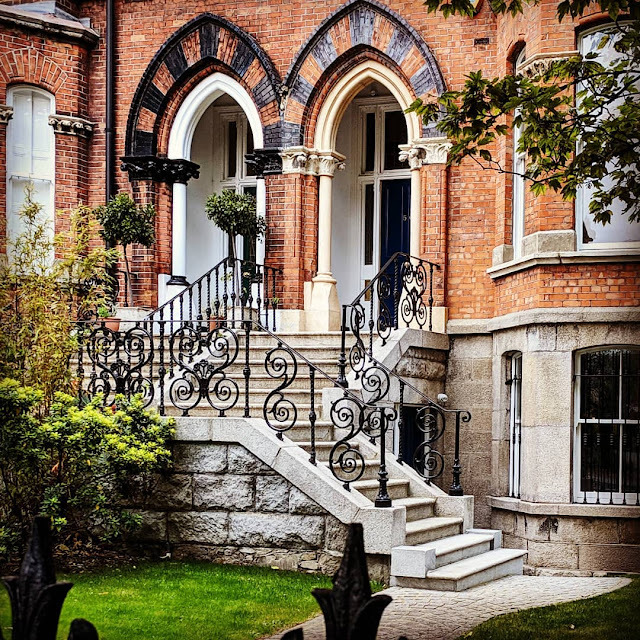 The buildings evolve with their period of construction and range from red-brick terrace homes to semi-detached homes with elaborate brick patterning. This neighborhood is considered a shining example of Victorian domestic architecture. Stop and pay your respects at Mount Street Bridge (where Northumberland Road intersects with the Grand Canal). There is a memorial to those who died here fighting for Irish independence in 1916. Stop at a modern Irish pub for a pint. Consider grabbing a bottle of craft cider at Probus or drink a craft beer and play some board games at the Square Ball. Cross the River Liffey for dinner at Lanigan's Pub. Stick around for an evening performance at the Theatre Upstairs. The Theatre Upstairs features works by local theatre troupes. Alternatively, head back across the River Liffey after dinner to the Samuel Beckett Theatre on the Trinity College Dublin campus. You'll find a variety of student and professional performances. We've seen a number of plays at the Samuel Beckett Theatre including the Importance of Being Earnest by Oscar Wilde, a show exploring the life of Dublin's own Bram Stoker, and a variety of fringe events. Explore a one day Dublin City itinerary focused history, photography, and theatre. 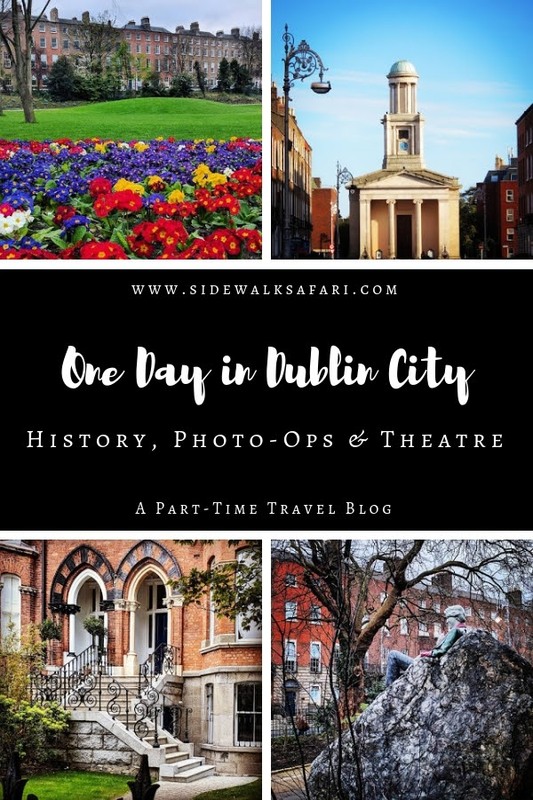 Seek out Instagrammable Dublin. Explore the historic architecture on Northumberland Road in Ballsbridge. Understand the history of the 1916 Rising at Mount Street Bridge. 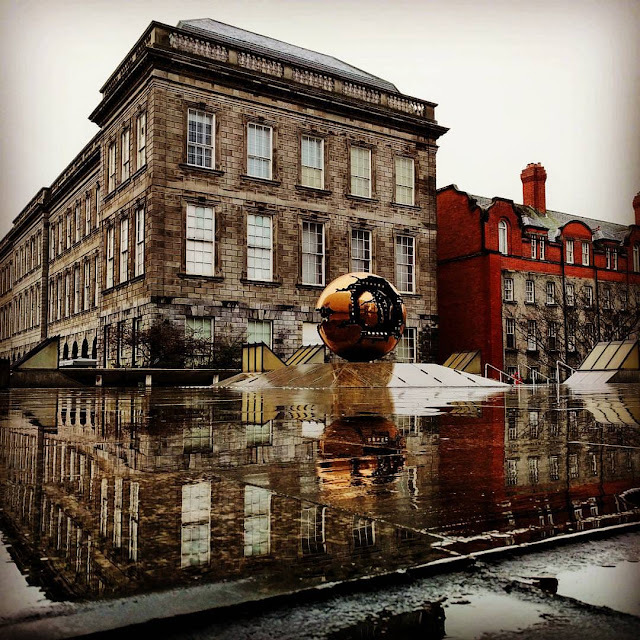 Spend an evening at the Theatre Upstairs or Samuel Beckett Theatre.